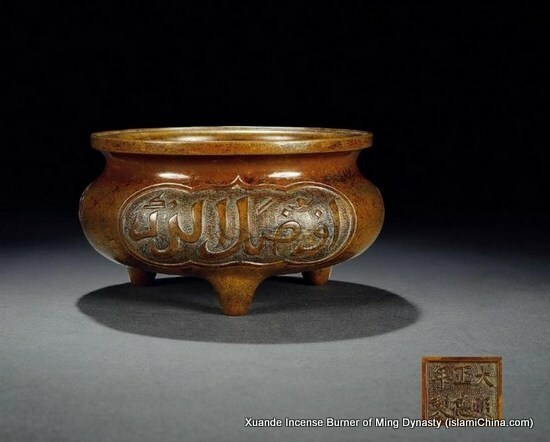 Islamic Culture Relics in China, Chinese Islamic Culture Relics, China Islamic Culture Relics Collection, Chinese Islamic Culture Relics Pictures. 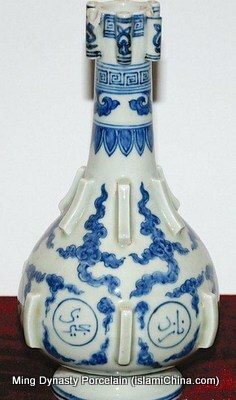 There are over 35000 mosques in China and many of those mosques were built in ancient times. 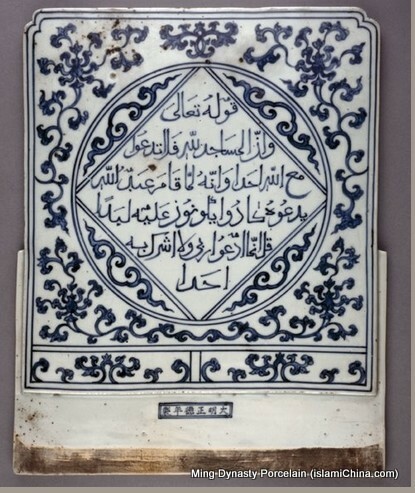 Earlier mosques built in China adopted both traditional Chinese and Arabic architecture. 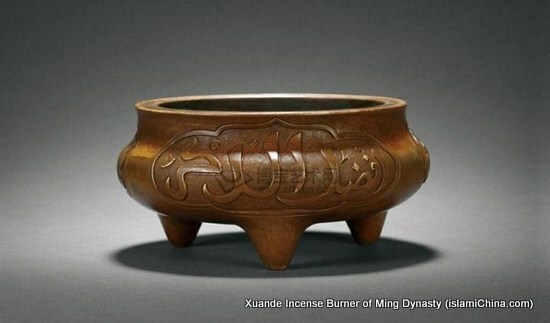 Examples of Arabic style mosques include Guangzhou’s Huaisheng Mosque and Quanzhou’s Qingjing Mosque while Xian’s Great Mosque and Beijing’s Niujie Mosque were typical of traditional Chinese Confucius temple style. 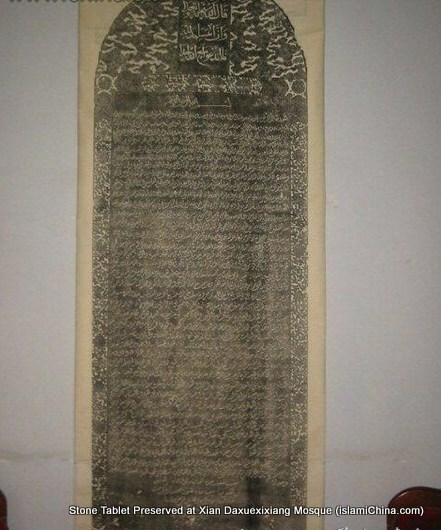 Though Chinese invented printing technology and printing had been widely used in China in ancient times, Chinese people still prefer to carve important information or books or classics on stone tablets for long time preservation. 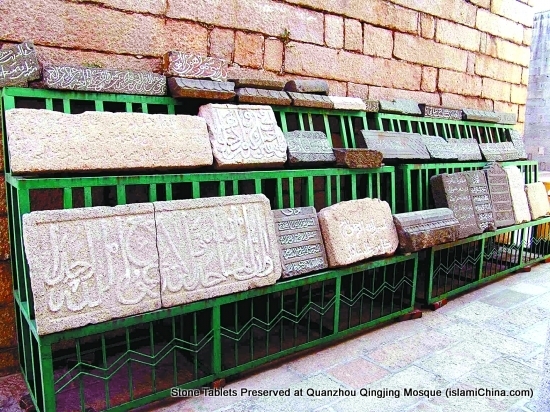 Arabic letters carved on stone tablets can be found in many of the ancient mosques in China. 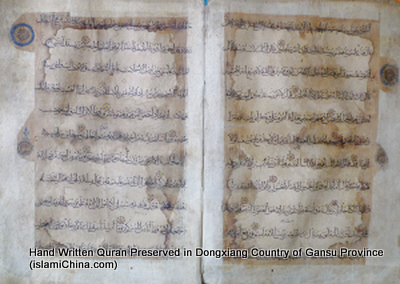 They recorded the history of mosques as well as those ancient Arabic people’s life in China. 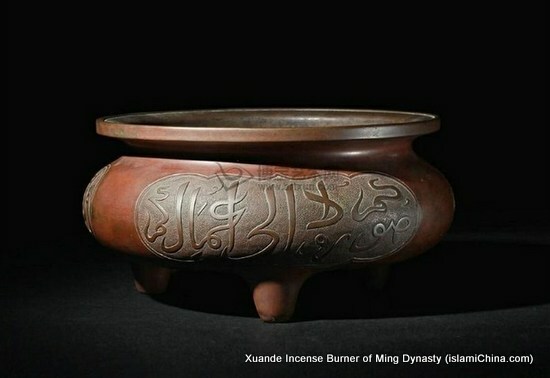 Besides stone tablets, there are also many other Islamic culture relics in China, such as ancient hand-written Quran; Ming Dynasty Xuande incense burner; Ming Dynasty porcelain. 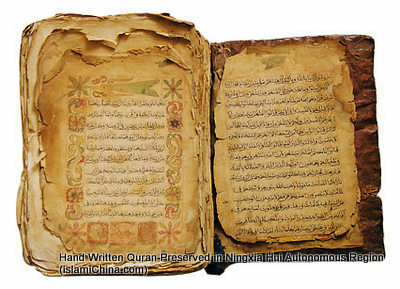 This hand written Quran which has 867 pages has a history of over 1000 years. 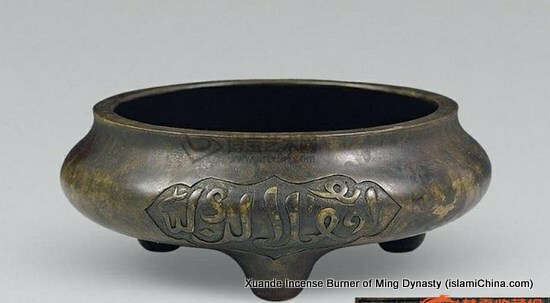 It is preserved by Jiezi Mosque of Xunhua Salar (Muslim) Autonomous Prefecture of Qinghai Province. 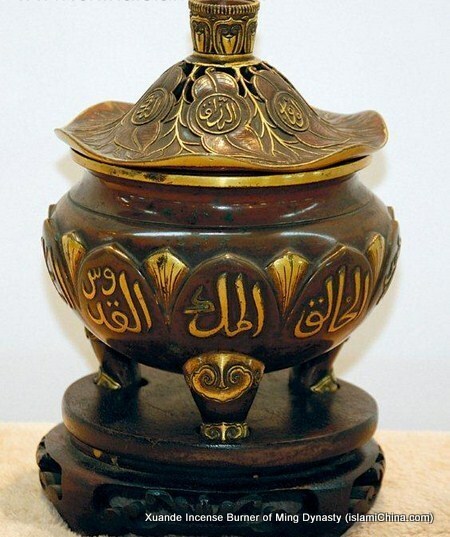 This is one of the three oldest Qurans existed now in the world. 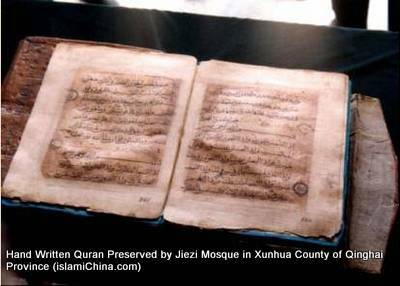 It is said that this Quran were brought to China by Salar ancestors when they migrated from Central Asia to China 800 years ago. 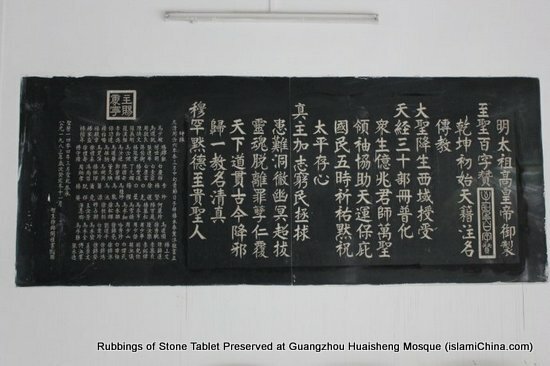 The following is a group of pictures showing Historical Stone Tablets preserved at various of Mosques in China. 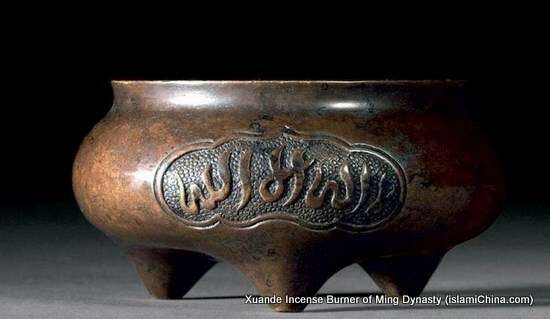 Incense bunrners used to be very popular during the Xuande period of the Ming Dynasty (about 500 years ago). 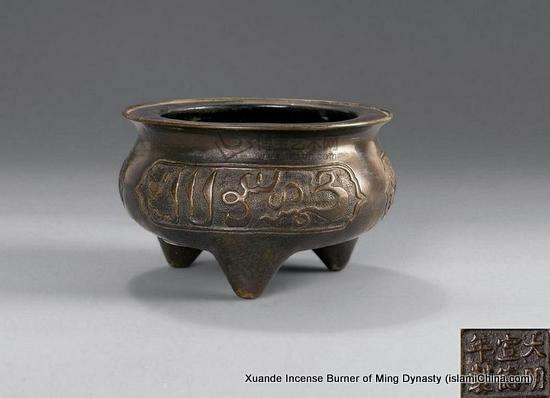 Here is a collection of Islamic culture relics of Xuande Incense Bunrners.